Christian Financial Credit Union (CFCU) is among the longest-standing OnSemble customers, beginning with ‘Nucleus’ – their first Employee Intranet in 2008. CFCU had grander ambitions, one that would take their whole team on a voyage toward a shining light at sea. This journey began during a power-packed day at PowWOW, Passageways Annual Conference. During a peer to peer learning and best practices workshop, CFCU’s Director of IT Erlinda Seib was exposed to the full breadth of the OnSemble intranet platform: driving culture, engagement, and growth. Inspired and galvanized, Erlinda got to work. The CFCU team charted their course and started planning their voyage by reaching out to their Customer Success Manager and immediately began a deep dive into their existing portal to identify and define the strategic importance of remodeling and rebranding their portal. They dubbed their new portal the ‘Lighthouse’ and with all the drivers of success in place, the cross-functional implementation team including members from every department set out to develop their pages. It took a meager three months to remodel and rebrand their entire employee portal. Here is sneak peek into what we must admit is a hands down awe-inspiring digital transformation. The latest version of the OnSemble intranet platform is packed with features and applications to help organizations meet their needs of strengthening culture, boosting growth and increasing efficiencies across organizations. CFCU’s creative use of themes, animations, and videos make the portal experience memorable and drive employee engagement, with employees coming back wanting more. The centralized resource library, quick links to third-party software’s, and reports to data in Tableau brought all essential information front and center for CFCU’s employees. The implementation team did a brilliant job of ensuring multiple click streams to help access the required information. The banner with customized quick links to every employee’s individual needs and job functions is just one such clickstream example that helps employees navigate the portal. What makes this transformation striking is the CFCU team’s dedication to their new portal’s success. They didn’t stop with the remodel. As the team worked toward launch day, they ensured the unveiling of the new portal was met with enthusiasm and excitement throughout their credit union. In the weeks leading up to the launch of the ‘Lighthouse’, the team organized training sessions for employees, walking them through many new capabilities of OnSemble. 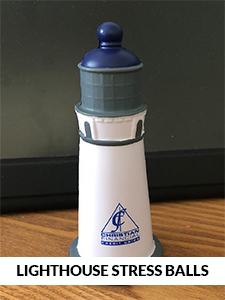 With the launch imminent, the CFCU team procured Lighthouse shaped stress balls with the CFCU logo, a giveaway to drive enthusiasm for their remodeled intranet. This was followed by a Scavenger Hunt on their portal to get employees excited and enthused. The team went a step further, developing in-house training videos to help employees gain expertise in using the new portal. All these initiatives were crucial in driving widespread adoption of the portal. We thank Christian Financial Credit Union for partnering with Passageways for over a decade and congratulate them on the start of this transformational journey. 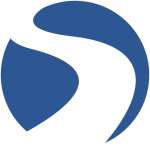 Read Why Our Customers Love OnSemble?